Box Compression Tester measures the compression strength of the corrugated box. The system is made of a set of plates one is attached to the load measuring arrangement and the other is a movable plate which is move with the help of motor, gearbox, and screw and nut arrangement, the movable plate have the facility of over travel and under travel. The load measuring arrangement is the digital type. 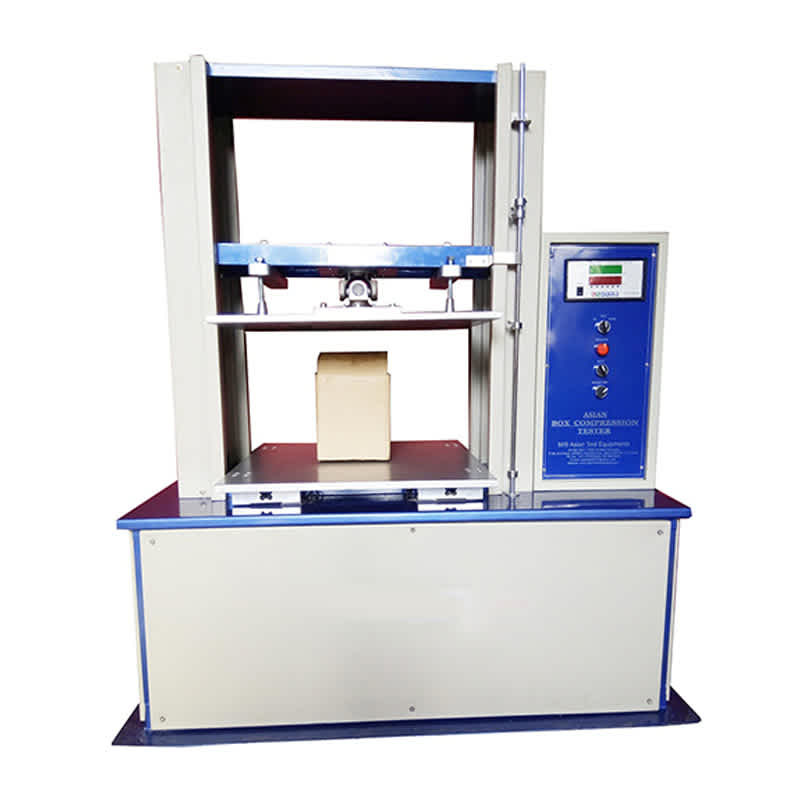 The box of which the compression strength is to be determined is placed on the lower plate, due to the motion of the movable plate the box is compressed and the compression load is directly read out on the digital indicator on the panel. The deflection of the box also measured with the help of the digital deflection indicator. The instrument is made in two parts, one is the main instrument and the other is the control panel. The ultimate test is to determining overall quality and performance of the container. The instrument is bright chrome plating, zinc plating, painted in metallic paints.